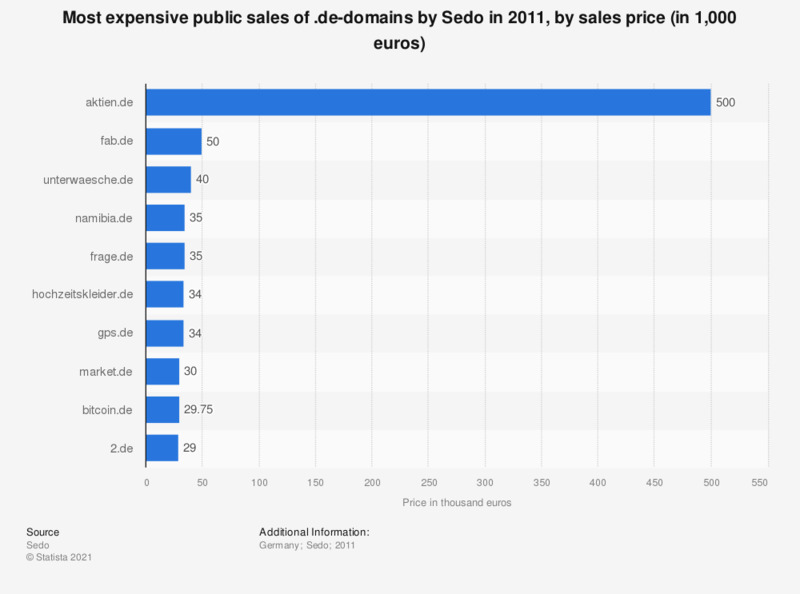 The chart shows the prices for Sedo's ten most expensive sales of .de-domains in 2011. The domain aktien.de went for 500,000 euros, ten times the prices of the second-most expensive domain fab.de. In this statistic, only domain sales that were published could be taken into account. A large part of the most expensive sales remains confidential and is therefore not mentioned here. How has your organization done, with respect to revenue, so far this year?